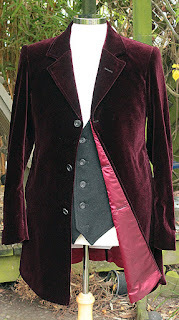 I remember way back in July 2009 when Matt Smith’s costume was first revealed, there was a certain amount of misinformation and assumptions made at the early stages. In a BBC news article called The fashion police on Doctor Who's new outfit it was said categorically that the boots were from Prada. This was quickly proved wrong when they were found to be from All Saint (abet copies based on them). Well, the same seems to already have happened with the new Capaldi look, with the boots being stated as Dr Marten’s, which you’d be forgiven for thinking they were. But closer inspection has found that they are actually by Loake. 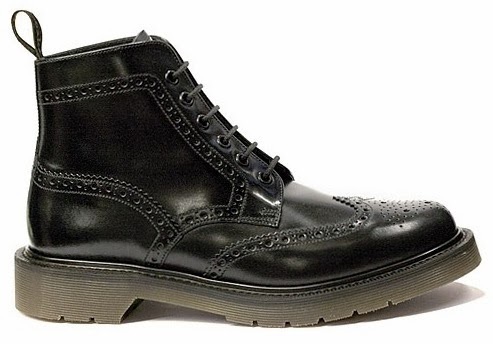 These are certainly a much better match than anything the iconic Dr Marten’s make themselves. The Loakes look a good fit, but I have seen people who claim to have DM USA connections claim that they are DMs proper - an old discontinued special edition line from about two years back. I think DMs remain a possibility, and if true perhaps they'll consider a reissue? Here is another alternative that's a little cheaper. The soles are not 100% accurate but they are close to the overall style. 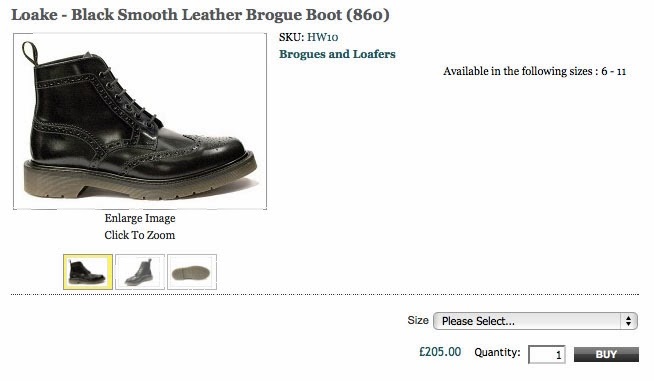 Now I'm not saying that they're not Loake books but with DMs so similar and many other manufacturers making almost identical boots, is there any particular reason you are sure they are by Loake? Just curious? Hmm. The Loake boots and the Doctor's boots seem to have a very wide "ledge" where the sole sticks out further than the boot. The soles on the DMs in the link don't appear to stick out as far. Also, the broguing (is that a word?) 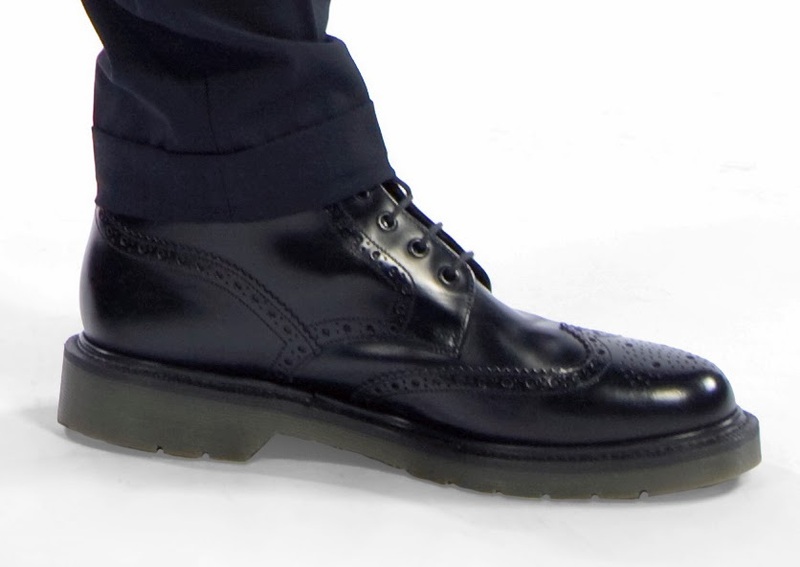 around the heel hits the other row of broguing going from front to back on the Doctor's/the Loake boots, whereas the heel broguing on the DMs ends on the sole without intersecting any other. The DM's should work just fine for cosplay. I can see the differences, but it is quite subtle. I have the same ones, which I linked to in my first post. I'm going to stick with them. 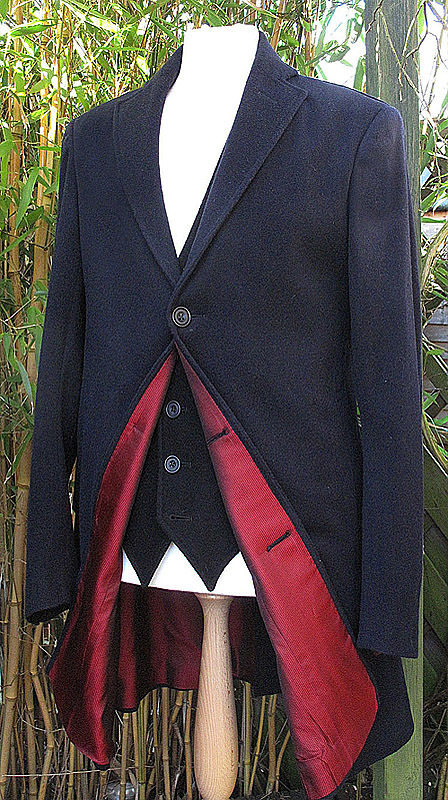 I'd rather invest in the coat because it's the most important piece to the costume, and save money elsewhere. They ARE DM's!!! / Its a limited edition discontined a few yrs ago. I emailed them and asked. No need to shout - and I think you'll find they have been positively identified now as Loakes. I fear Doc Marten’s may have been telling porkies to try and get some sales. What do people think of these? £35 on ebay so good for a tight budget! I also found and bought those! My thoughts - visually very similar, Leather is quite lightweight, and will definitely develop patina and creases a lot faster than DMs or similar quality boots would. Would suggest therefore that they be reserved for cosplay occasions if you want them to remain authentic looking. Top three holes are in fact hooks, so that's another area where they're dissimilar. Other than that, pretty nice pair of boots for the money! These boots I found are quite close in design (and with a very good polish would look the part) UK Amazon only I'm afraid. They've sold out of 2 sizes already . I tried some original Loakes on in Jump the Gun in Brighton. The designs were the 'Burford', in black and 'Bedale' in Mahogany brown which are absolutely fantastic. The Bedale's have a 'G-fit' which gives them a wider front. £200. A great boot. The lottery win will get me on the next train down. You can commission me to make parts of your Twelfth Doctor Costumes. Click the items below for more information, or e-mail me direct at tennantcoat@me.com and I can answer any questions. 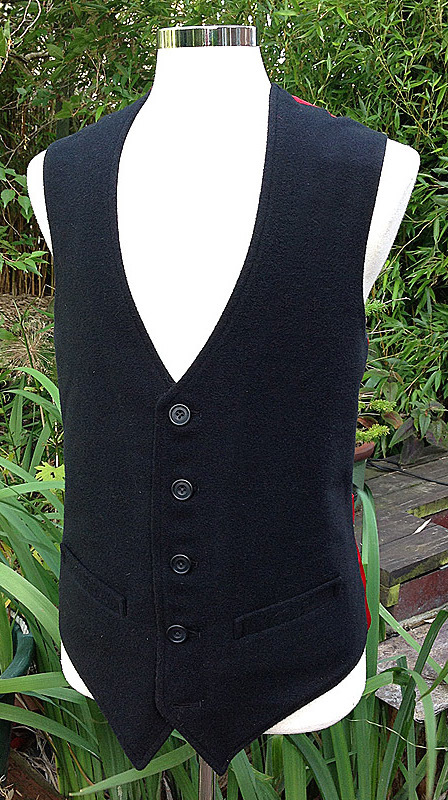 An episode-by-episode guide to the costume combinations worn by the Twelfth Doctor. The Capaldi look - Pertwee love? Are bow ties no longer cool? Peter Capaldi - in costume? LIMITED STOCK AVAILABLE FOR SALE!